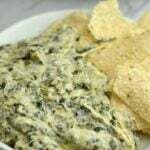 I have been making this dip for a few years now, and each time I make it I love it even more as does my family. 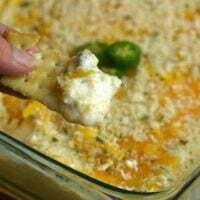 You can use fresh or canned jalapenos for this recipe. If you use fresh, here is a tip to adjust the heat level. If you don’t like much heat, just your jalapeno in half, seed it and then soak it in water for 15 minutes. This will help tame those jalapenos down on the heat factor. If you do like some heat leave some seeds, or if you really like it spicy, don’t even seed them and wash and start slicing. Be aware the oils from jalapenos can add stress to your throat when you breathe, and if you breathe it in you might start coughing a bit. 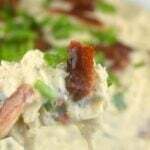 We had a party a while back and I made this dip as one of the options for guests as an appetizer. It truly was the hit of the night. I think having a hot dip to serve always is a hit for most gatherings. 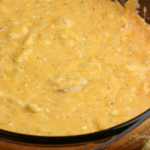 It truly is a savory and cheesy dip that just has the perfect flavors that are brought together that keeps people reaching for more. 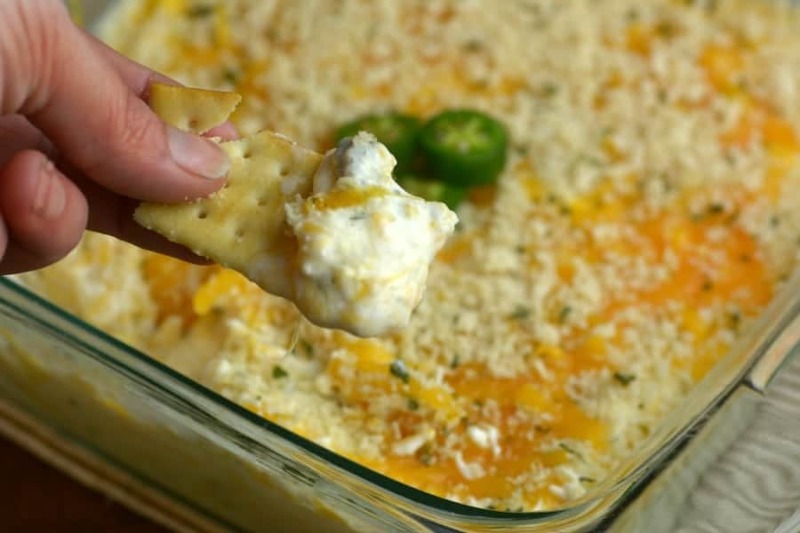 I am a huge fan of cheese, and this dip is hard for me to have self-control, I feel like I can never get enough! I have even taken the leftover dip and added it to a roll and ate it as a sandwich and it was delectable. This dish is creamy, a hint of heat which you can kick up or tame to fit your heat factor you want, and just plain addicting. Place chicken breast, sliced Jalapenos, cream cheese and water in the Instant pot. Place on manual high pressure for 12 minutes. Do a quick release and shred chicken. Stir in 6oz cheddar cheese and sour cream. 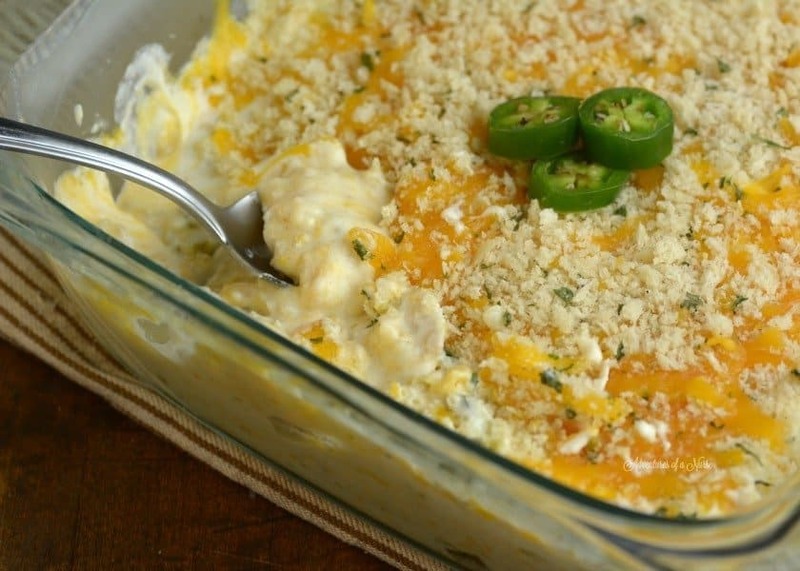 Place in a baking dish and top with the remaining cheese and panko bread crumbs put in the broiler for 2-3 minutes. Do I cube the cream cheese or just put it in as one big hunk? Can’t wait to try this one for my husband and camping buddies. This looks like the perfect dish for a pot luck! And easy is always a good thing. Oh this looks so amazing!!! Can you share how to make it without a pressure cooker? Wanting to make this for Christmas Eve but wanting to know if I can make it a day early and then throw it in the oven to warm it up? I’m already overwhelmed with everything I have to do on Christmas Eve ? I obvious love your cooking or we live the same things!!! Your everywhere… guess i’ll Follow you. Thanks so,much for the great recipe ideas. Can you make this with pre-cooked chicken ? If so how? I tried this today for the first time. Took it to a gathering of friends. Every bite was eaten. Next time I will double the recipe. And there will be a next time! ? So good!